Bullfighting is a sport and therefore should be legal. 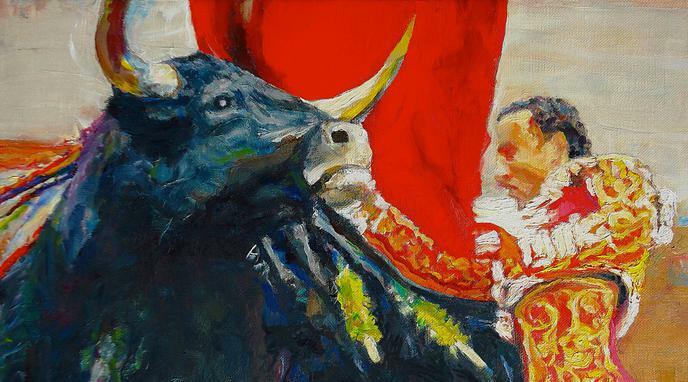 Bullfight is both sport and art. The most exciting part of bullfighting is not the torturing or killing of the bull, but rather the toying with it and the bullfighters doing daredevil stunts with the bull. Sport is good for health, so every sporting activity, like bullfighting, should be encouraged. The bullfighter shares the need for intelligence, physical fitness and coordination with most other athletes. Jewel et al., p. 13). Bullfighting ends with death. Even if an activity is classified as a sport it does not follow that it should therefore be legal. Other activities classified as sports are also illegal. blood sport involving the killing of animals for human pleasure. The bioethical and animal right's ideals must prevale before the sports and pleasure of a collective or individual. Some TV episodes have antagonists kidnap humans and hunt them for sport. Sports definition is along the lines of 'competition involving physical exertion and skill. ', arguably every theft and murder can be considered a sport and definitely every war. fairness, as there is very little chance the bullfighter would be injured before the bull. Aficionados International itself acknowledges that bullfighting "is not a sport in the first place".